Prepare yourself to get in a fantastic world of adventure, action and fun. Prepare yourself for ZombieZoid - Zenith! While the lovers were chatting on the Internet, the news reported that a terrible virus was infecting people in town and turning them into zombies hungry for brains. Now, this young boy will venture through the streets filled with undeads to reach the house of his girlfriend before the worst happens. As Arthur, prove you are brave and confront the danger that you find ahead. 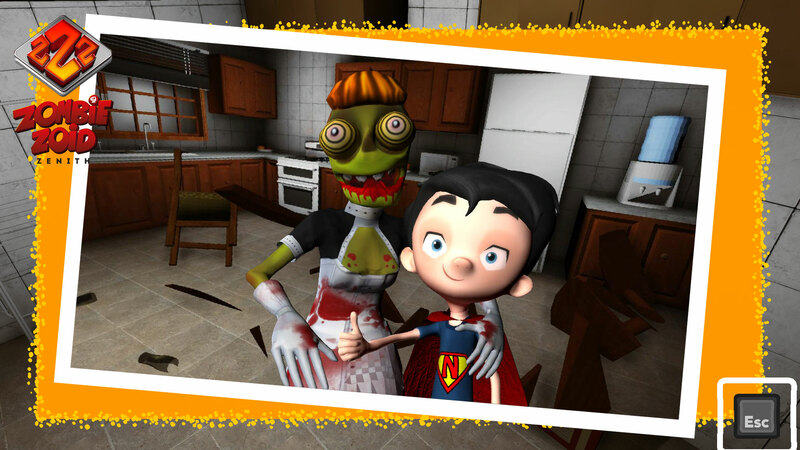 Your adventure begins at home that was invaded by kids zombies from the neighborhood. You will need to knock out everyone to protect the grandpa that is resting int the attic. 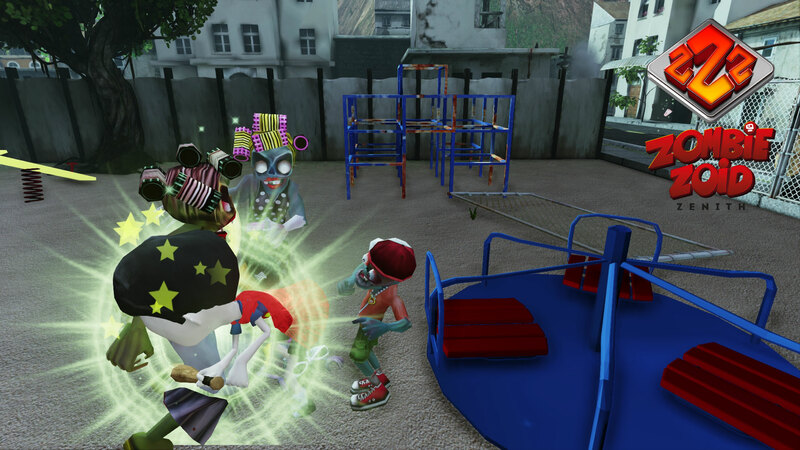 Those kids zombies are the most agile of all, therefore you need to be skillful to defeat them before they try to bite you from behind. 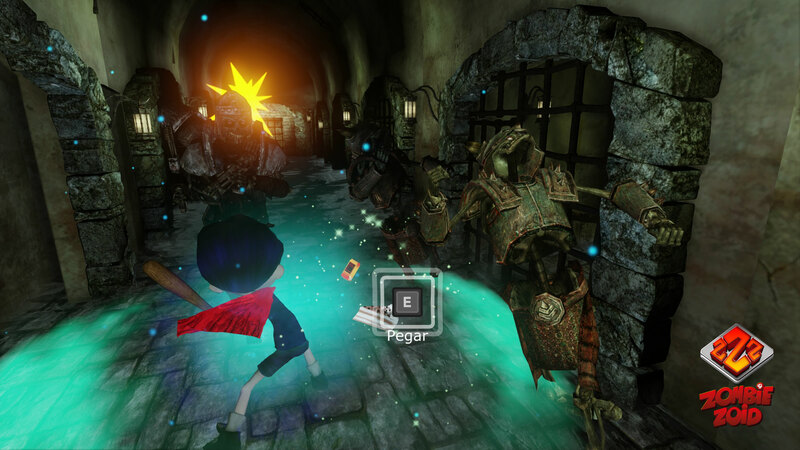 For twelve levels you will face strong enemies in unusual and comic situations. Rush HourUsing energies from the future, Arthur receive a big power and conjure the Rush Hour, pushing all the zombies in front of him and leaving a large trail of fire. 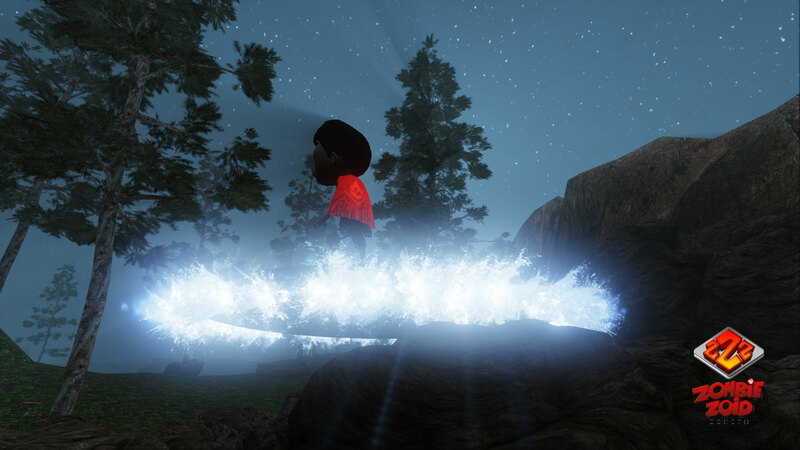 The Juggernaut´s JumpThe elements around you conjure one of the strongest powers of Arthur. With this jump you can knock out many zombies around you and get out of the problems quickly. Judith, the MaidBe carful, she's very angry! She wants a pay raise and the most she's got was having to clean up windows, now all she sees ahead she throws at someone. But she gets tired, enjoy this moment and send her to the dream world! Benedict, The Cursed Popcorn SellerAll of the children become zombies and they don't want to eat popcorn anymore, just brains. Benedict is very angry. Be careful, because he's fast and hits running. Father DamienFather Damien is very angry because all the faithful are gone and now everybody only think about brains. Be careful whit his spin, it can hurt a lot and mess up the whole sacristy. Bope, Knife in SkullAll the prisioners were cursed and were transformed into skulls. Be careful with fire invoked from the depths of evil. Water attacks can help you. General Bielek MoleThe General is trying to organize all this mess but the zombies are very messy, it gets him very angry. Be careful not to be caught off guard when he digs. Mack, The LumberjackThe forest is a mess because of these zombies, let alone all the soldiers. Mack is very strong and can finish you in a few strokes. His leap is so strong that can even topple trees. Otto, The Crazy DriverThere is an accident on the road and Otto is trying to help the passengers zombies to get out. He said that nobody can pass over here. He's throwing tires to stop anyone that tries to pass. The Mother in LawThe Arthur's mother in law is unhappy, because it seems that every zombie from the city decided to invade her house. Be carful because she's dominated and she can transform herself into multiple enemies. 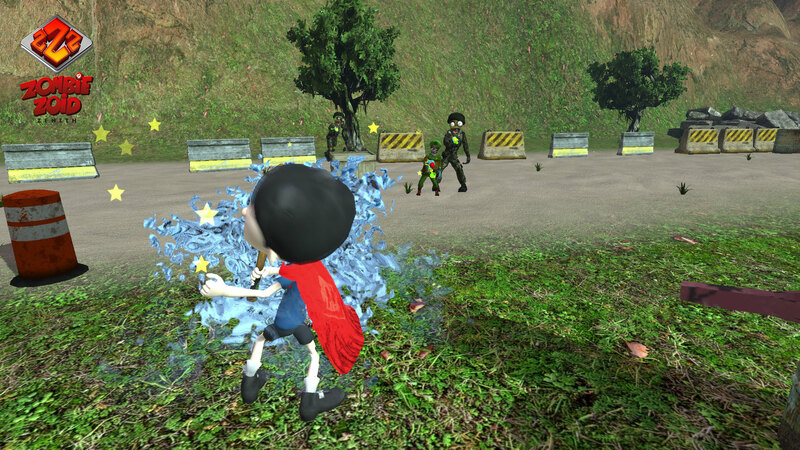 Through the course of the game Arthur may collect many weapons like the powerful baseball bat that is his faithful companion; many type of water pistols, bottles of holy water and even popcorn to trick the most stupid zombies. 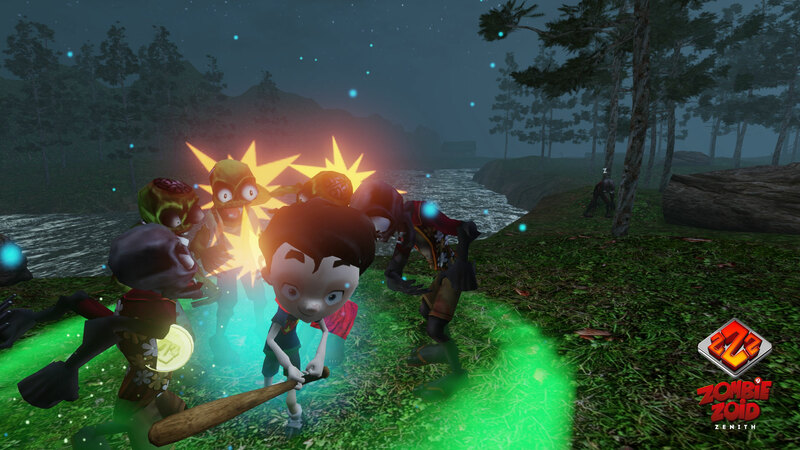 Baseball BatFaithful companion of Arthur, with the bat things get more agile and defeat the zombies will be easier. Be careful because that the bat can break! Holy WaterResearches has found that holy water causes a great itching in zombies and cause their his conversion, so their stop hunting humans and attack any another. PopcornThe popcorn shape confuses the zombies making them think it is small brains. Use to get attention and go undetected to some places. Water PistolI saw in a movie that water hurts aliens. You know what? It hurts the zombies too! Use a water pistol to shot drops of water away. The gun is very fast, so pay attention because the ammunition ends fast. 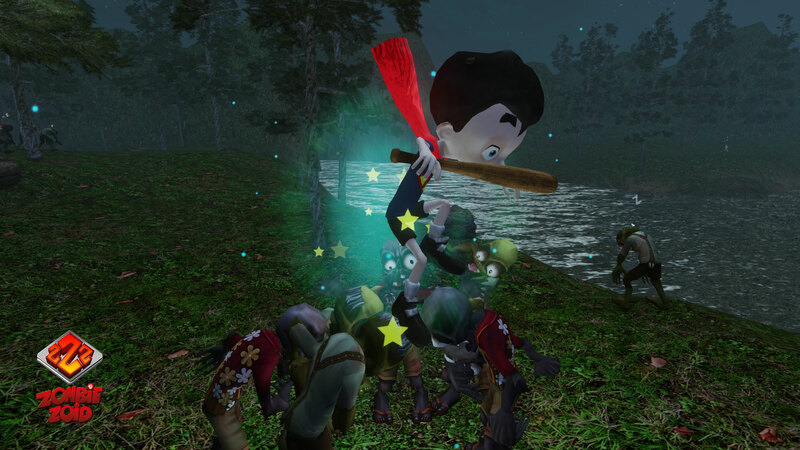 BlunderbussLaunches water grenades and causes several damage to the enemies zombies. The Blunderbuss uses a greate amount of water in each shot and also takes longer to load. Be careful because the zombies can attack you while it is loading. 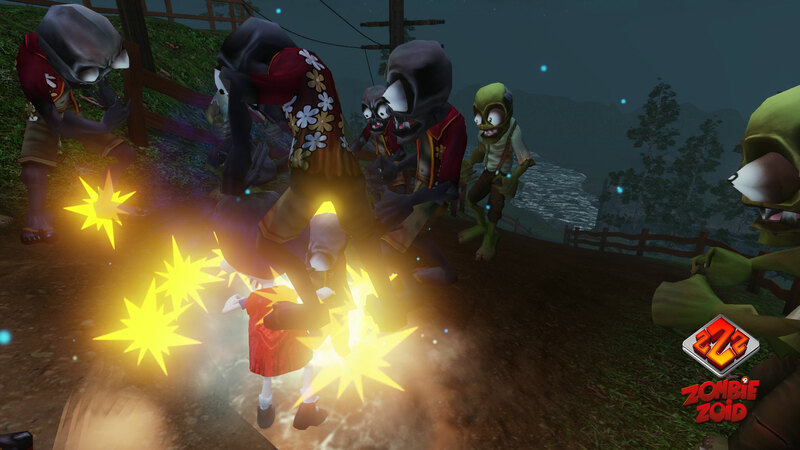 Holy CannonLaunches holy water grenades and convert the zombies without getting close to them. The Holy Cannon has a great amount of holy water in its tank and it can lanch the grenades at long distance. 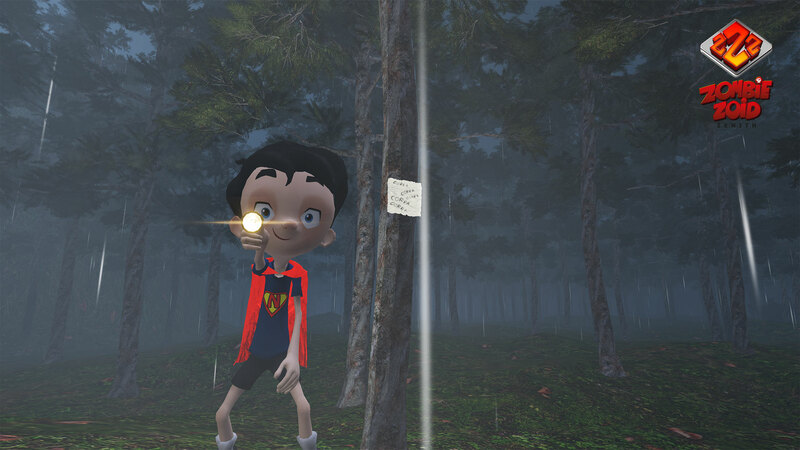 FlashlightWith the flashlight you can see better in dark places and also scare away some animals from the darkness. I know that spiders are very afraid of the light, especially those who live in caves. Hahaha, it´s in wikipedia!